Born as Zerelda Elizabeth Cole in Woodford County, Kentucky her parents were James and Sarah Lindsay Cole; she had one younger brother, Jesse Richard Cole. One year younger than she, her brother committed suicide in 1895 for undisclosed reasons. 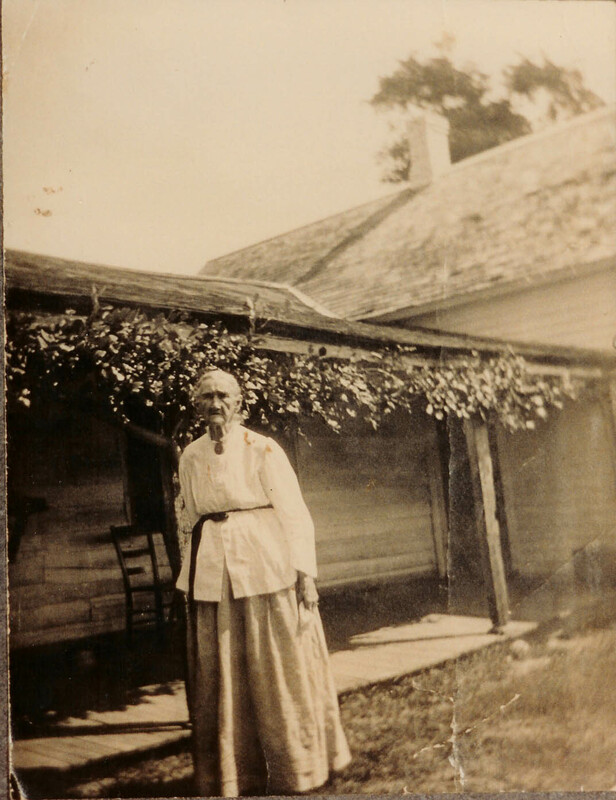 When Zerelda James was a small child, her father broke his neck in a riding accident leaving her mother with two small children; they were taken in by her paternal grandfather who owned a saloon. Later her mother remarried (to a farmer Robert Thomason). Zerelda, by all accounts, did not get along with her new stepfather Robert so she went to live with some of her mother’s relatives in Kentucky where she attended a Catholic girls school. At the age of 16 Zerelda Cole married Robert Sallee James on December 28, 1841, at the home of her uncle, James Madison Lindsay, in Stamping Ground, Kentucky. A college friend of Robert’s officiated as the best man and tobacco was given in bond. The two moved to the vicinity of Centerville (later Kearney, Missouri). Robert James was a commercial hemp farmer, a slave owner, and a popular evangelical minister in the Baptist Church. Zerelda James bore him four children. Shortly after the birth of his daughter, Susan, Robert James moved to California to preach to the gold miners, where he contracted either pneumonia, cholera or typhoid, and died on (according to tradition) August 18, 1850. 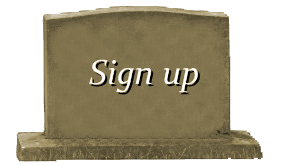 His grave has never been officially identified and no marker exists for him today. There is a much disputed story that in later years Jesse went looking for the grave of his father. Benjamin Simms (born circa 1830 – d. January 2, 1854) was a wealthy farmer who married widow Zerelda James on September 30, 1852. The marriage proved to be an unhappy one, largely because of Simms’ dislike of Frank James and Jesse James, to whom he was reportedly cruel. Zerelda left Simms, who died on January 2, 1854, when he was thrown by his horse. 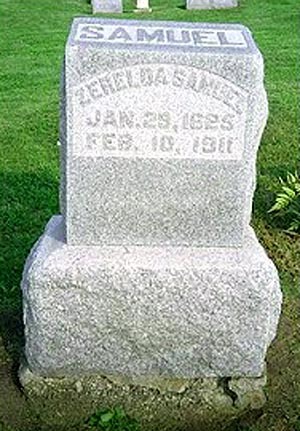 Zerelda James married a third time, to Dr. Reuben Samuel (b. January 1829 – d. March 1, 1908), on September 25, 1855. Samuel has been described as “a quiet, passive man, was widely described as standing in the shadow of his outspoken, forceful wife”. Allan Pinkerton, the Pinkerton Agency’s founder and leader, attempted to capture the James brothers. On the night of January 25, 1875, he staged a raid on the homestead. Detectives threw an incendiary device into the house; it exploded, killing James’s young half-brother Archie (named for Archie Clement) and blowing off one of the arms of Zerelda Samuel. Afterward, Pinkerton denied that the raid’s intent was arson, but biographer Ted Yeatman located a letter by Pinkerton in the Library of Congress in which Pinkerton declared his intention to “burn the house down. With all the press circulating of the famous James brothers of Missouri, the hysteria of the Frank James trial and all the dime novels of which the family did not approve, it was inevitable that people would turn up at the farm wanting to see the place where the infamous Jesse James had grown up. 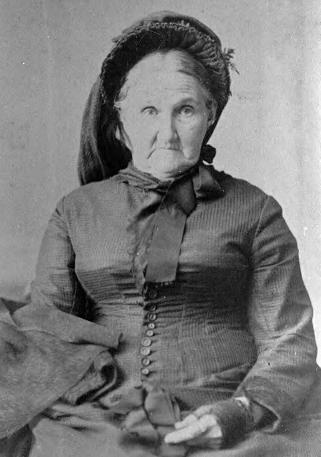 Zerelda James charged for the tour, and the visitors were taken on a tour of the farmhouse including a vivid account of the Pinkerton Raid in January. The fireplace does not bear burn marks but there is evidence of which floor boards which were salvaged and which were replaced when the repairs were made as compensation by Pinkerton to Mrs. James for the death of her son and injury to herself. 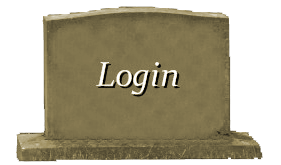 The tour culminated at the grave of Jesse, who was originally buried in the front yard outside Zerelda’s bedroom window so when she slept at night, she had a clear, unobstructed view of his grave. Zerelda James was worried that someone would come and take him so she had him buried an extra few feet down than the standard six. For an extra few coins visitors were allowed to scoop up the “authentic” pebbles from the grave. Zerelda replenished them from the stream where the boys used to play. Years later when Jesse’s wife, also named Zerelda died, his mother had Jesse reburied alongside his wife at Mt Olivet in Kearney, MO. She further would play on the sympathies of her visitors by offering to sell old, rusted, often inoperable guns that she said belonged to Jesse before he died, which in reality she had bought second hand, leading to a proliferation of people claiming to and sincerely believing that they owned a gun that had once belonged to Jesse James. Zerelda James died in 1911 in the Burlington carriage on a train traveling to San Francisco, California of a heart ailment (some 20 miles outside of Oklahoma City). She was 86 years old and was buried next to Reuben Samuel, her third husband, and sons Jesse and Archie at Mount Olivet Cemetery, Clay County, Missouri. The actress Ann Doran portrayed Zerelda in the ABC television series The Legend of Jesse James (1965-1966). Christopher Jones and Allen Case played Jesse and Frank James, respectively.